Home Articles Comparisions Changing Colors, Changeable, Erratic, Chameleonic, Capricious and Whimsical. Changing Colors, Changeable, Erratic, Chameleonic, Capricious and Whimsical. Changeable and erratic are general terms and can apply to anything. Changeable describes the ability of a thing to change and is neutral in tone. Erratic is negative in tone and points to uneven or arbitrary reasons for change. Chameleonic, capricious and whimsical are exclusively used to describe human characteristics. Chameleonic is closer to changeable and refers to a chameleon’s ability to change color to blend with its background. Usually the word refers to a person who is willing to change for momentary advantage. Ex – No one relies on him because of his chameleonic character. Sometimes the word can be used in a neutral or approving way. Ex – His chameleonic behavior helped him get along with all sorts of people. Capricious is closer to erratic and refers to a tendency to make rash decisions on personal mood rather than merit. Though it doesn’t suggest insincerity, capricious is usually negative in tone. Ex – The queen was capricious towards the people who attended to her. Whimsical also suggests a tendency to make rash decisions on mood. 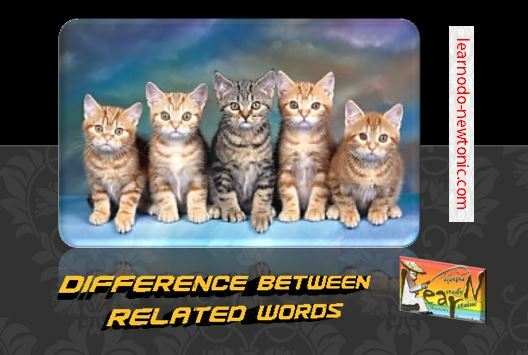 The difference is that it is usually used in a neutral or positive tone. Ex – His uncle’s whimsical nature was the only interesting thing in their otherwise boring family. Good post. I learn something totally new and challenging on blogs I stumbleupon everyday. It will always be interesting to read through articles from other writers and use a little something from other web sites.